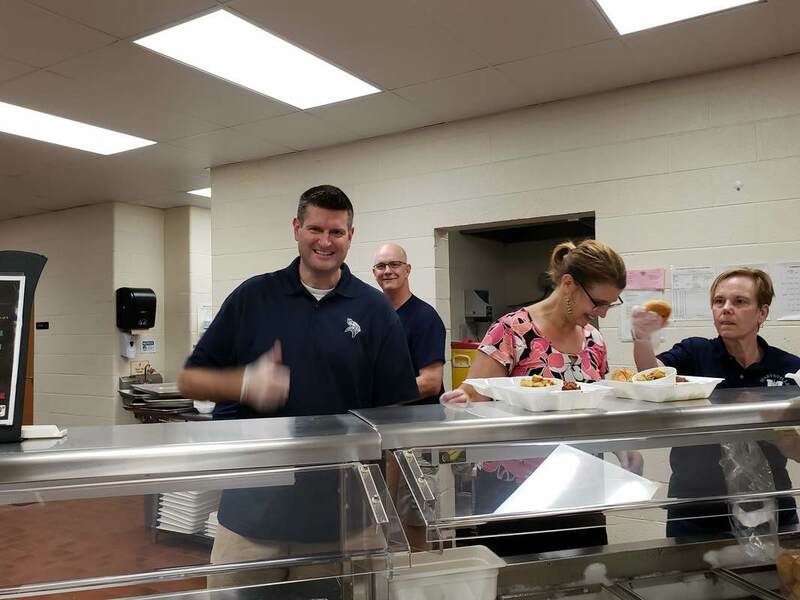 A special thank you to the many volunteers who help make the spaghetti dinner successful! 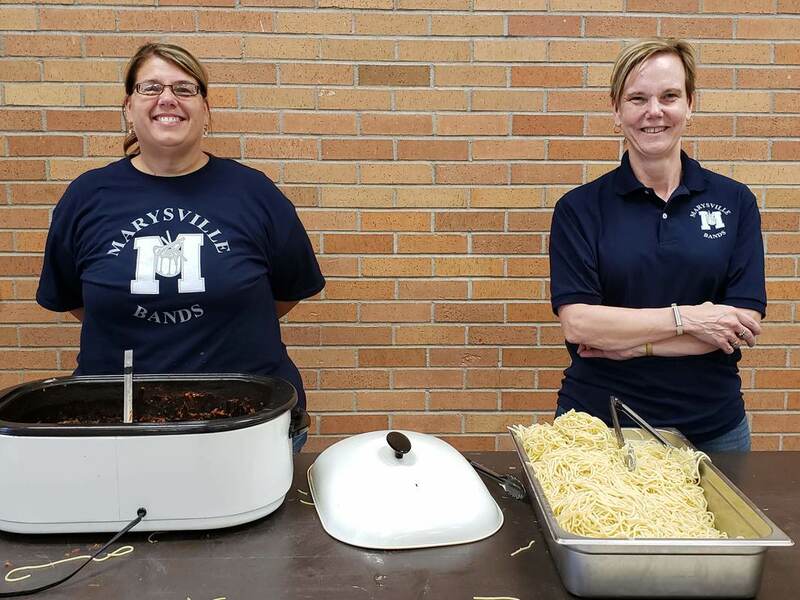 We are grateful to the Marysville Band Booster Alumni Members who have graciously made the spaghetti sauce for the past several years! Our longest serving alumni, Mr. Steve Down's youngest child graduated in 2004 and Mr. John Goulet, 2009! 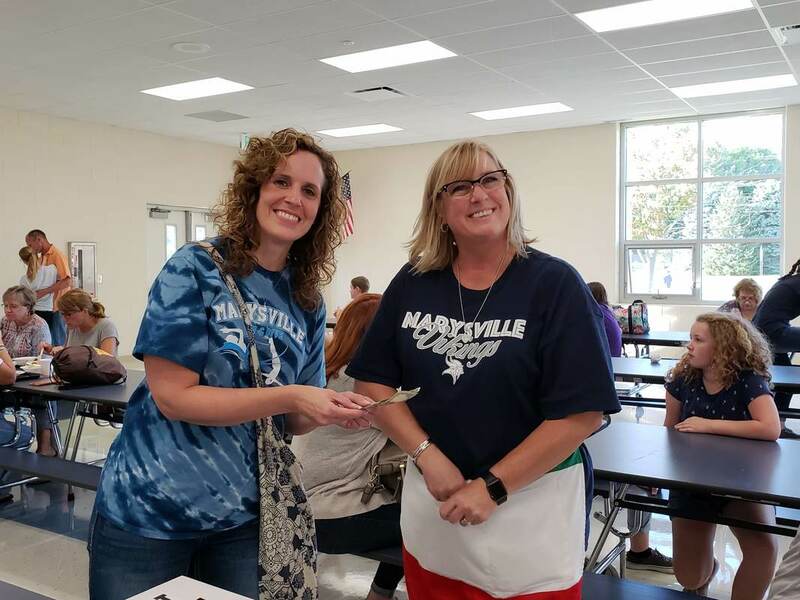 It is truly amazing the support we receive from the community for the continued success of this fundraiser and the Marysville instrumental music department. 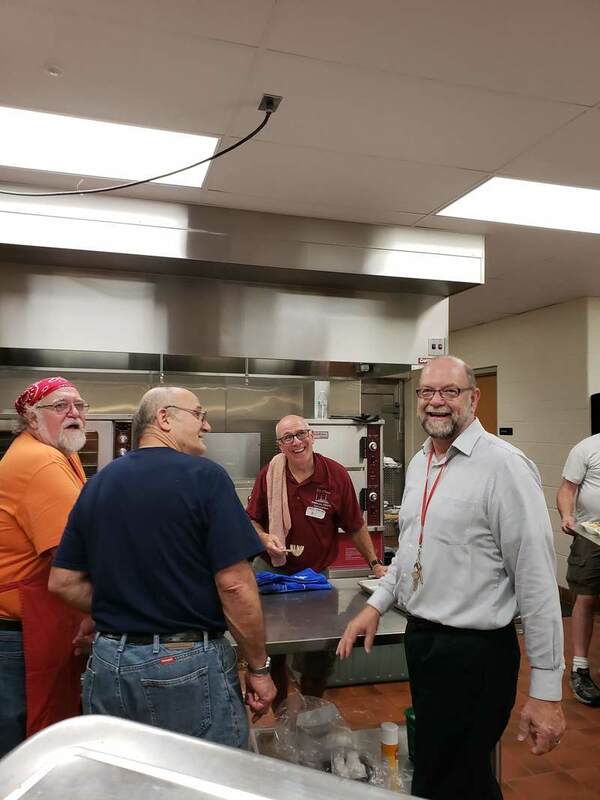 It takes lots of preparation and many volunteers to run the spaghetti dinner! 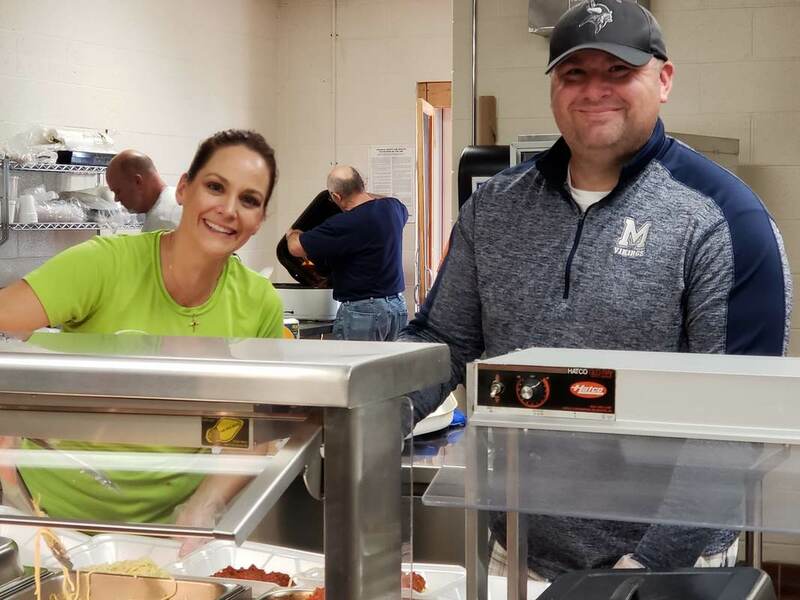 Thank you to Leah Spresser, chairman and the many volunteers for giving of your time to this fundraiser! 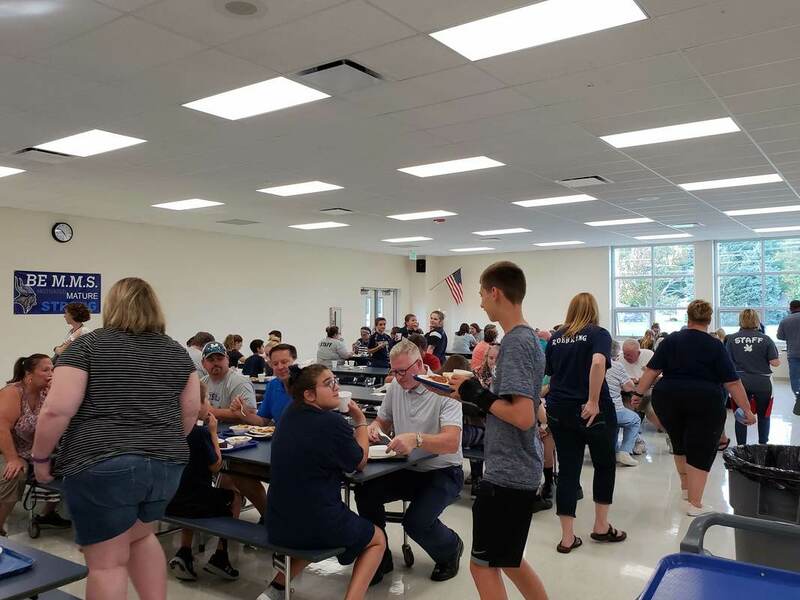 We were thrilled to have long time supporters and friends of the Marysville Bands, Mr. and Mrs. David Teeple, join us for the spaghetti dinner. Mr. Teeple is the former owner of PH Music Center and resides in Arizona. 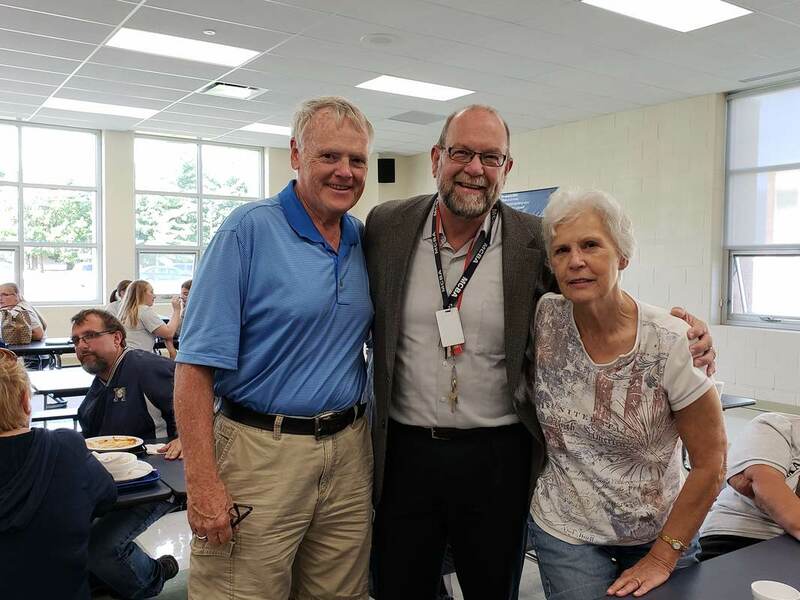 He is still a strong advocate for the fine arts and recently sponsored the Tim Lautzenheiser leadership workshop at Marysville High School. 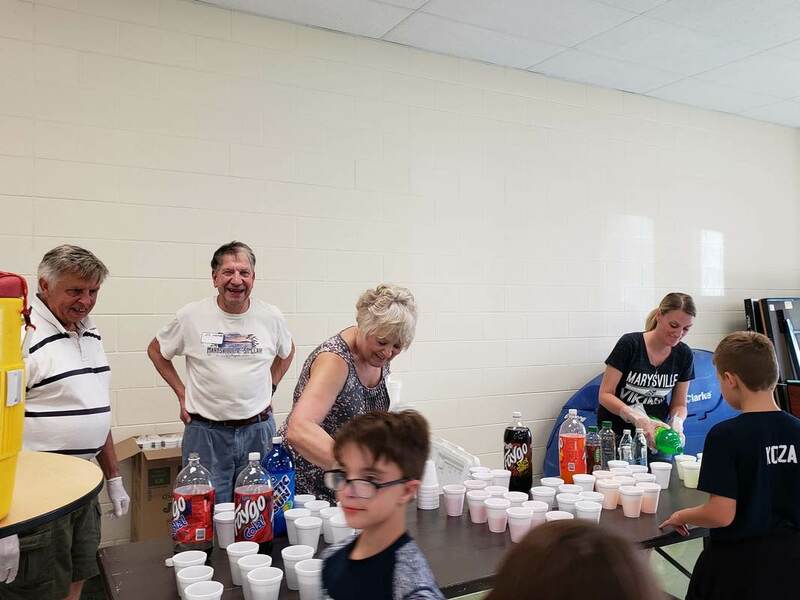 No fundraiser would be complete without the community support! 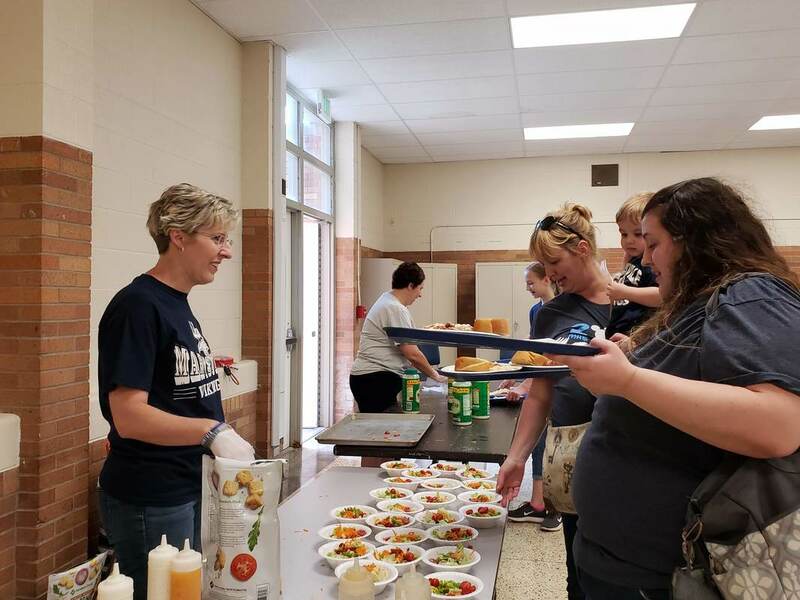 Guests enjoyed spaghetti, salad, rolls, dessert, beverages, face painting, 50/50 drawing and many raffle items! Be sure to save the date and join us at next year's homecoming spaghetti dinner! 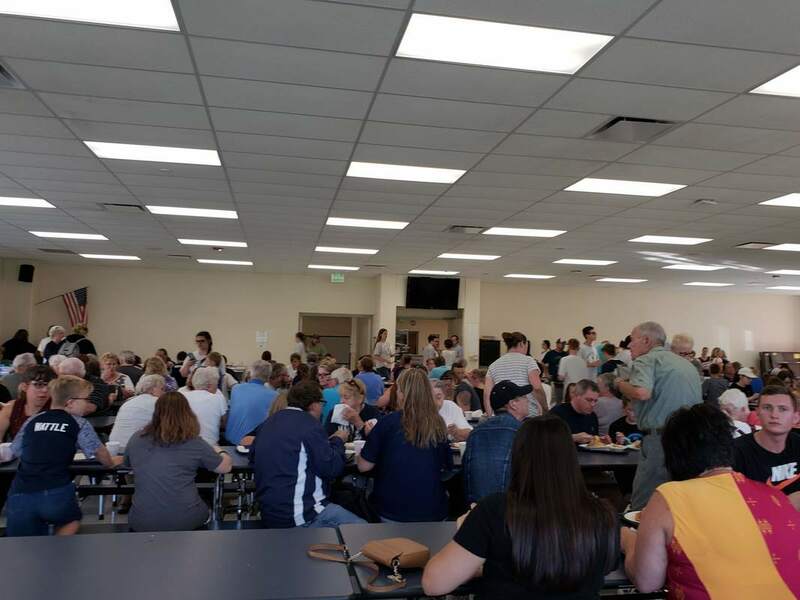 A total of 907 meals were served! Congratulations to the raffle winners and the winner of the 50/50 drawing who won $154.50!